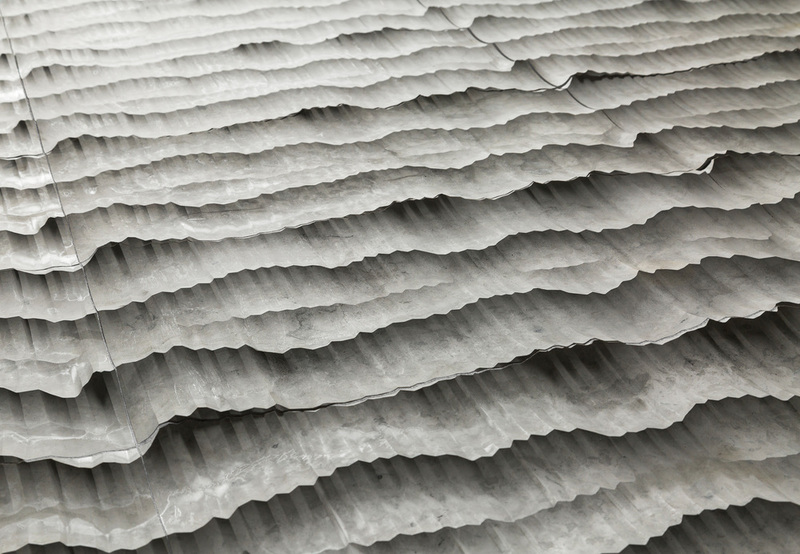 The pleated detailing of Kelly Hoppen's Origami collection for Apaiser takes inspiration from the Japanese paper art. It's available in a neutral palette of four colors: charcoal, taupe, linen, and polar white. Afroditi Karissa's Piano tiles are handmade in Tangiers by local Moroccan craftsmen. The encaustic cement pieces come in four different patterns, each inspired by the bold graphic elegance of Art Deco. Featuring artwork licensed through the Keith Haring Foundation, Ascot Ceramiche's Keith Haring tiles are part of the Game of Fifteen collection, geared toward elevating tile as a medium of art. Kohler's Karing Integrated toilet features a tankless design and bidet cleansing, powered by a touch screen remote. It also includes an LED nightlight and hands-free opening ad closing capabilities. Available on the online product resource IMaestri, Neutra's Inkstone bathtub is carved from a unique block of stone. Among the nine available options are sand brown (shown here) and Bianco Carrara. The bold and graphic Navone collection of ties, designed by Paola Navone for Bisazza, includes four vintage-inspired patterns: Carreau, Decoupe, Asterisque (shown here in menthe), and Tisse. 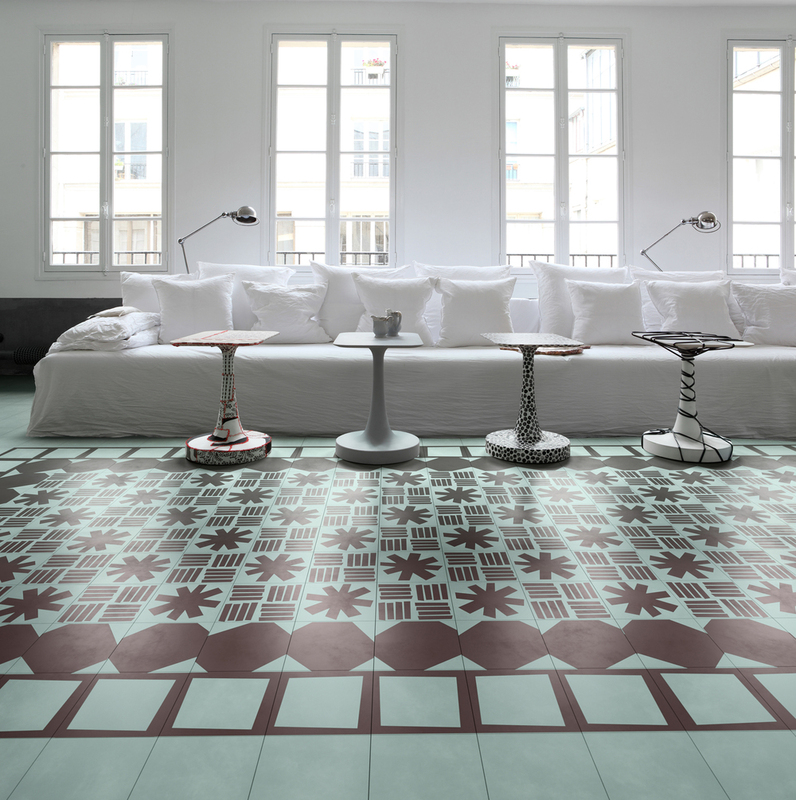 Cotto's Patchwork collection by Piero Lissoni includes tiles in both matte ad glossy finishes with raised geometric patterns (shown here), in addition to bathroom fixtures, fittings, and accessories. A combination of matte and glossy glazes gives kinetic dimension to Heath Ceramics's Mural collection of tiles. Shown here is the Twill Pattern in Rhythm. It also comes in range of palettes, including arctic, tide pool, and denim. Rexa Design's space-saving Esperanto collection comprises stacked modular units. Designed by Monica Graffeo, the ensemble includes an elm base, glass module, and brushed Corian washbasin. 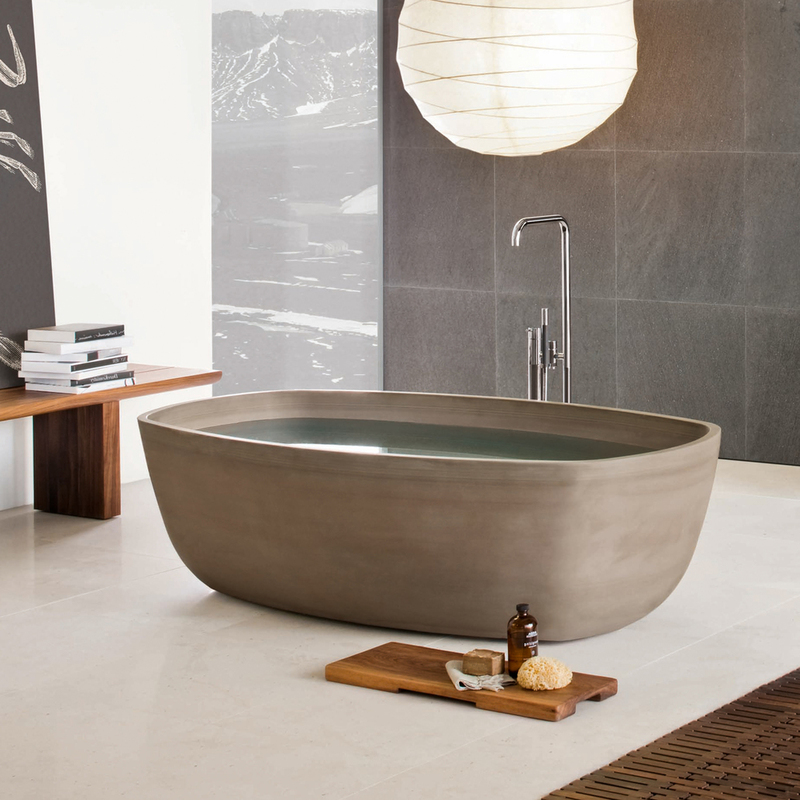 The rounded shape of Porcelanosa's Aro series alludes to the ceramic bowls used in ancient Japanese tea ceremonies. It's made of Krion, a durable, non-porous material ideal for hygienic products. 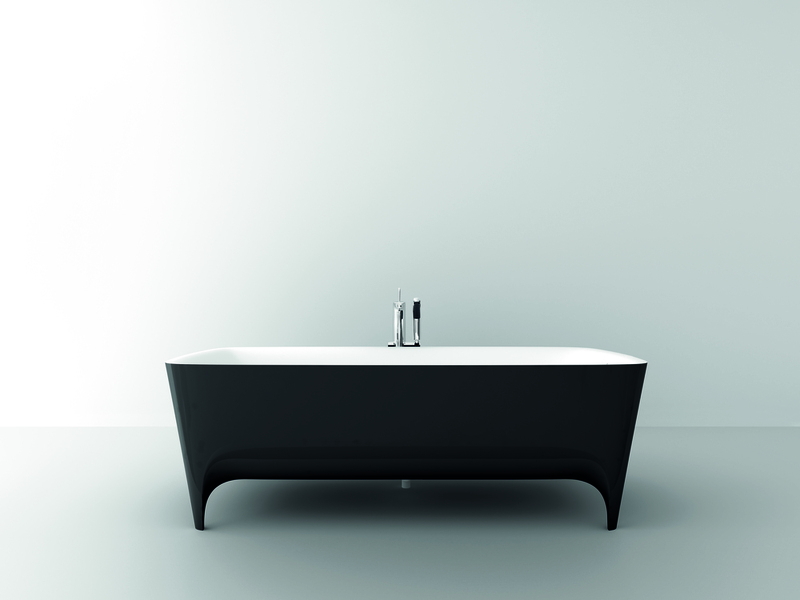 Teuco's opulent Accademia collection includes furniture and washbasins, as well as a rectangular, freestanding bathtub (shown) made of a patented Duralight material. It comes in Carrara or gray marble. The clean lines, simple geometric shape, and precise symmetry of Toto's Atherton Oval Undercounter lavatory make for a seamless transition from basin to countertop. Made of vitreous china, it comes in cotton white. Part of the Tierras collection, Patricia Urquiola's Industrial tiles for Mutina are made of dry-processed ceramic powder. Inspired by ancient Mediterranean colors, the unglazed tiles come in a range of tones. Newly expanded to include Aura (shown), Cosentino's Dekton collection of slab tiles is made of glass, porcelain, and quartz. They're resistant to UV rays, scratches, and abrasion, making them ideal for outdoor or indoor use. Designed by Meneghello Paolelli Associati, the Rombo countertop washbasin for Artceram derives its exterior pattern from textiles to create its stylish and sartorial sensibility. 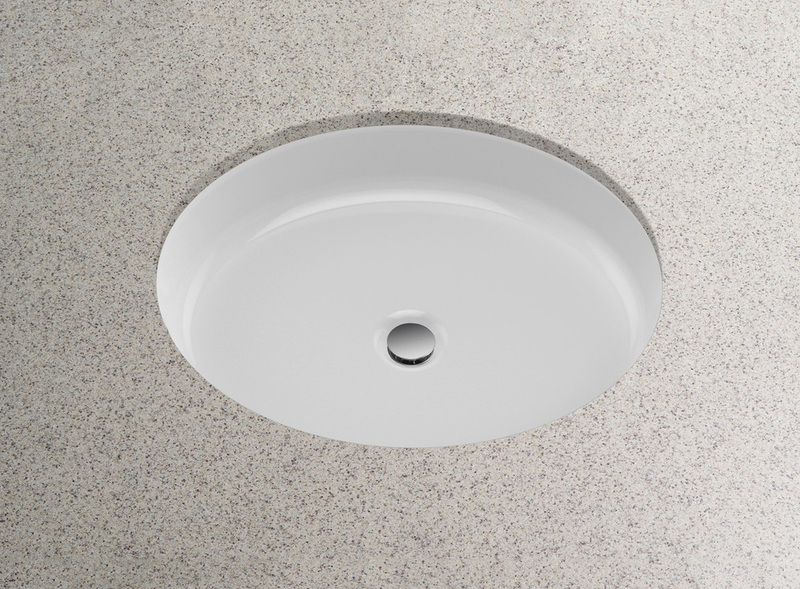 Designed for Boffi by Naoto Fukasawa, the minimal form of the Lotus sink features a shallow, circular basin. It can be wall-mounted, and is available with a mirror set with integrated LED lighting. The Scape Monolith sink exterior by Joost van der Vecht for Not Only White is made of natural acrylic. Its washbasin contains a variety of patterned Bianco Carrara marble inlays to create a scenic waterscape. Designed by Glen Baghurst for Marrakech Design, these concrete tiles are available in more than 100 colors, with simple geometric patterns that can be placed into varying visual arrangements. Lapicida's custom-made Genuine Antique British Reclaimed Geometric collection of tiles was inspired by architectural engravings of the 18th century. Recliamed limestone and sandstone lend it a natural patina. Ludovica and Roberto Palomba conceived their Morphing design for Kos as a contemporary update of classic, clawfooted bathtubs. The latest rendition introduces a shorter version meant for space-limited urban dwellers. 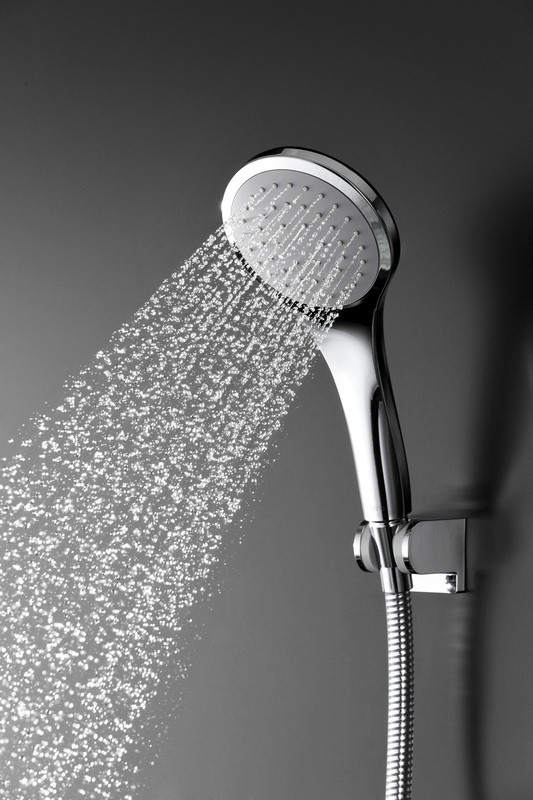 Increasing water-droplet volume while decreasing overall consumption is the goal behind Toto's air-injection technology. The Aero handshower offers two water-flow options, which bathers can toggle between with the touch of a button. 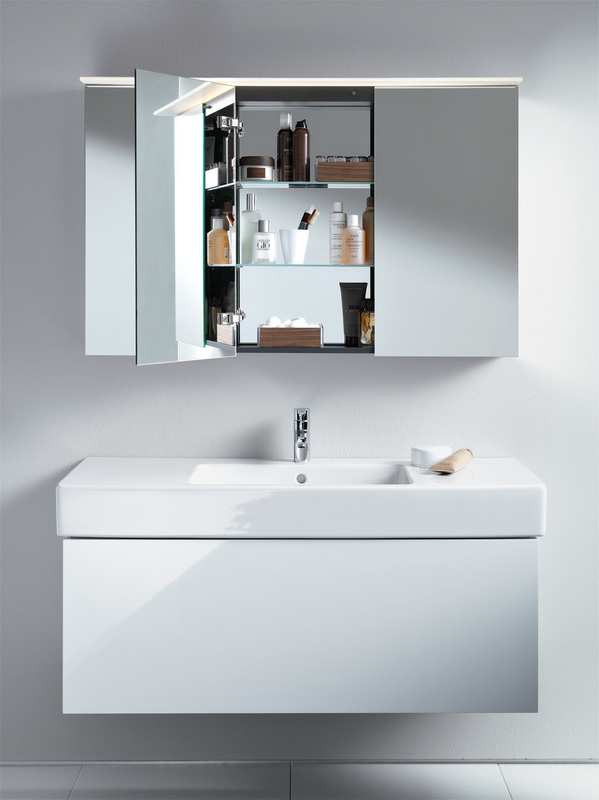 Believe it or not, this cabinet contains a high-quality sounds system by Duravit behind its mirrored back panels. Two five-watt flat-drive speakers and a 25-watt woofer are protected by waterproof and moisture-resistant textiles. Inspired by the landscape and irregular surfaces of London, Edward Barber and Jay Osgerby designed the Mews tiles for Mutina. The tiles come in six different base colors with names that recall the British city: fog, pigeon, chalk, lead, ink, and soot. 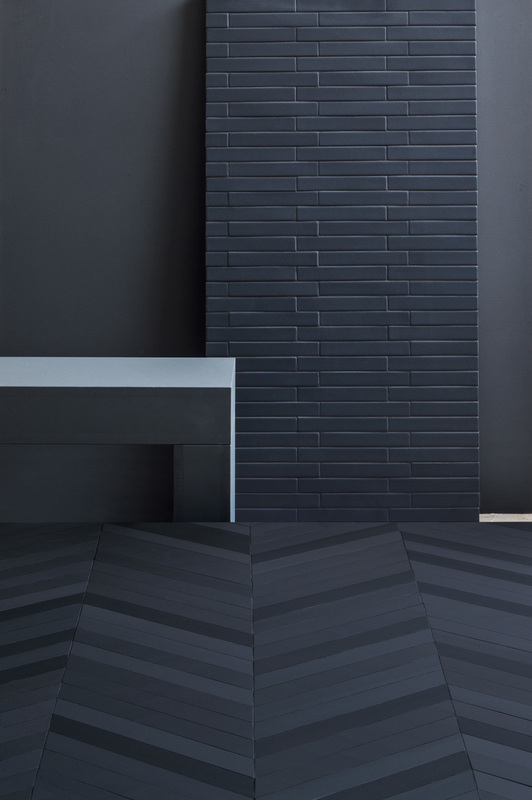 Porcelanosa's Urbatek Xlight tiles are only 1/8- inch thick- ideal for those needing to refurbish floors and walls without removing existing surfaces. It also boasts low water absorption and a 39- by- 118-inch size. This new edition was made to resemble concrete. Artistic Tile's Dune, made of machine-cut, hand-finished limestone, is the result of technological innovation and scrupulous artistry. Light plays off the ridges of the smoke-colored tile's surface, creating dramatic patterns on any wall. Geometric patterns, bold Graphics, and upscale materials make up these new bath and tile designs.